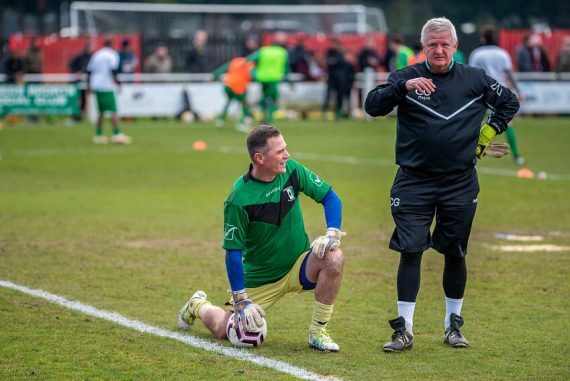 Cray Valley (PM) keeper Andy Walker excelled in his sides one-nil victory over Canterbury City last weekend in the first leg of the FA Trophy semi-final. We knew it was going to be difficult,” Walker admitted to KSN. “From a personal point of view, I’ve had a few niggles recently before today and then within a minute, my hamstring goes – we worked hard, it was never going to be pretty; I can give you all the excuses under the sun, wind, rain and hail, we had it all! The pitch wasn’t great – not every game we’re going to be able to dominate and we didn’t today by any stretch, but we’ve got to be happy – we’ve got a second chance to put a performance on to finish the job! Generally we’ll find a goal from somewhere as we’ve got so much quality in so many areas that most times we will find a goal and credit to all the lads up there as they’re not all about scoring goals, they work hard for each other and they’re just as happy for someone else to score the goals other than themselves. 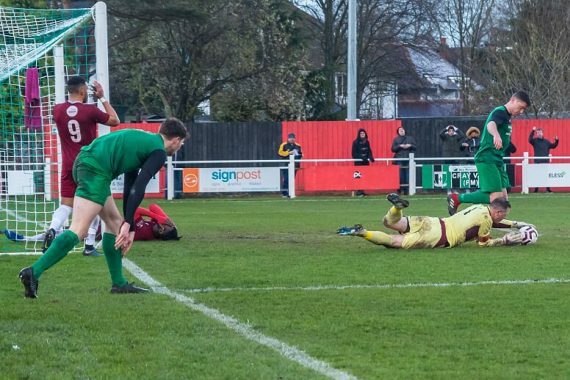 But on the flip side of that,” the Cray Valley stopper said – smiling – “I think its clean sheets that win games; people say goals wins games, but it the clean sheets that do! I’ve made a couple of saves today and the lads gave me a clap as we went into the dressing room and said well done, but all the back three or back five as we had at times have helped me out so much today. 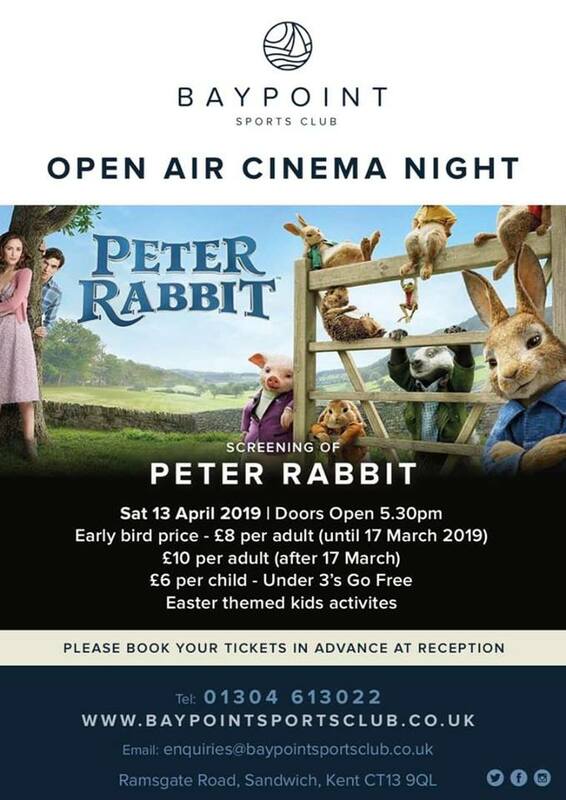 This entry was posted	on Tuesday, March 19th, 2019 at 7:38 pm	and is filed under Featured, Football, Non-League Football. You can follow any responses to this entry through the RSS 2.0 feed. Both comments and pings are currently closed.